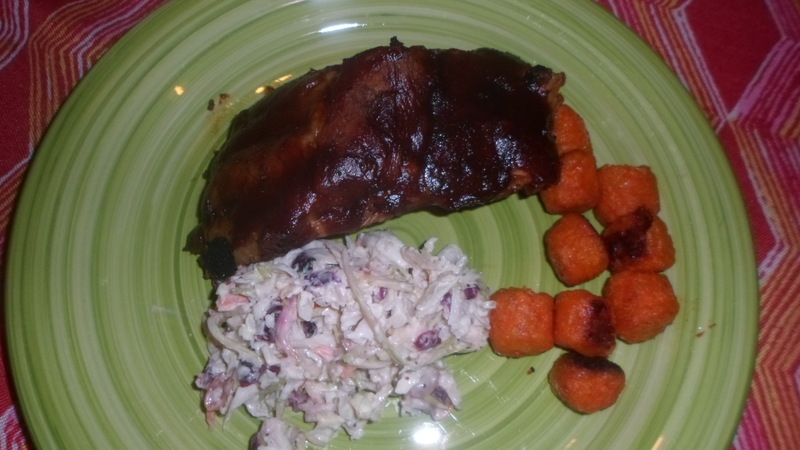 Baby Back Ribs (they were on sale at Fresh Market for Memorial Day) – you can taste the difference in their meats! Mix salt and steak seasoning. Rub into ribs. Pour chicken broth into crock pot. Layer ribs in crockpot. Cook on high for 4 hours or low for 8 hours. Brush with barbecue sauce (I used Sticky Fingers Memphis Style which was really delicious). Bake at 375 for fifteen minutes until sauce is caramelized. « Fresh Yellowfin Tuna Steak – OH MY!